Making a Will is probably not something you like to think about. However, it is the only way to ensure everything you have worked hard for goes where you want it to. It is the only way to protect the people you care about. Making a Will is relatively straightforward and is not very expensive. However, in spite of this, seven out of ten people in the UK die without making a Will. 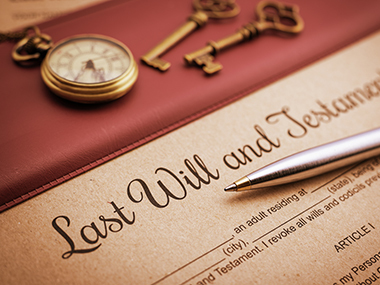 If you die without a Will, the law decides who inherits your estate and in what proportion (known as the "Intestacy Rules"). These rules do not cover unmarried partners, life-long friends, your favourite charities or step-children. Relatives you have lost touch with may inherit, under these rules, instead of those closest to you. We offer a sensitive and professional Will-making service. Unlike other providers, your Will is written by one of our qualified lawyers. They understand the precise nature of how your will should be worded, giving you peace of mind that your wishes will not be misunderstood or challenged. We discuss your personal situation carefully with you at a face-to-face meeting. We give practical advice and prompt you about things you may not have considered. Issues such as: who to appoint as executors and naming guardians for your children if you die before they reach 18. At Wright Solicitors, we understand the importance of making the right Will and we guarantee that once we meet and fully understand your personal needs, we will be happy to provide you with a Will that fulfills your requirements.